The first guide to the ancient traditions of Russian herbal medicine and their extensive medicinal applications today. Drawing on a wealth of oral and written traditions, the authors examine the best-known Russian herbs (all of which are widely available in North America and Western Europe) and explain their folkways, properties, and uses. Offering time-tested advice for using herbs to maintain general well-being, they also give clear and simple recipes for treating specific health problems from asthma and migraines to influenza and high blood pressure. Blessed with a wide variety of climates, geography, and flora, early Russians developed a rich folk tradition of herbal healing that ranks among the most sophisticated in the world. Nearly every Russian medical school offers courses of study on the knowledge and application of herbs, and many maintain a special research department that investigates the properties and practical modern applications of herbal medicine. 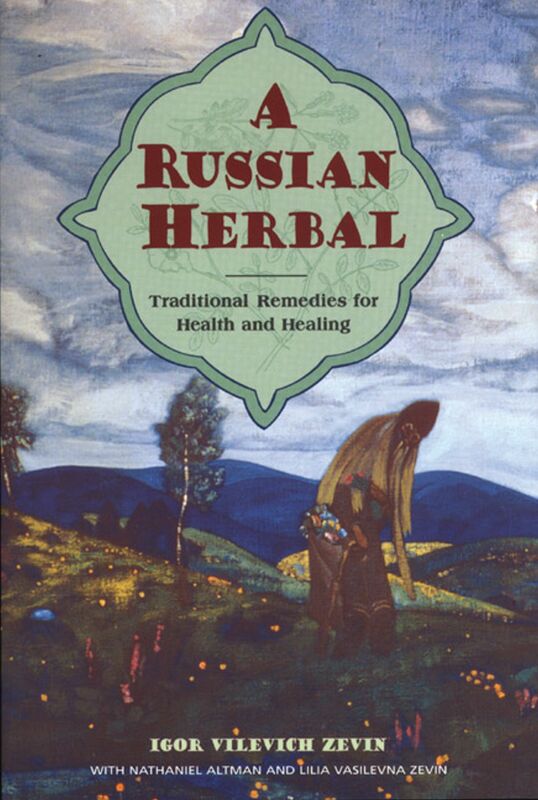 This is the first book to examine the traditions of Russian herbal medicine. Born in Belorussia, Igor Vilevich Zevin was raised by his grandmother, an accomplished folk healer and herbalist who passed much of her knowledge to him. An engineer by profession, he has maintained his study of herbs over the years. "The entries are also unusually detailed as to the exact methods of preparation as well as the parts of the plant that should be used. Potential dangers and other contraindications for use are clearly set out from the text in bold-faced type - a feature that I'd like to see copied in more herbals! Zeven with his co-authors, Nathaniel Altman and Lilia Vasilevna Zevin, have ceated a highly interesting and unusual herbal, detailing a tradition that we don't hear about enough."